AFJ Member Spotlight is a series where we highlight the great advocacy work of Alliance for Justice member organizations. AFJ is an alliance of 130 national, regional, and local organizations working for a wide range of progressive causes, united in our commitment to advancing justice and democracy. Click here for more information on becoming an AFJ member organization. What is the National Council of Jewish Women’s mission? The National Council of Jewish Women (NCJW) is a grassroots organization of volunteers and advocates who turn progressive ideals into action. 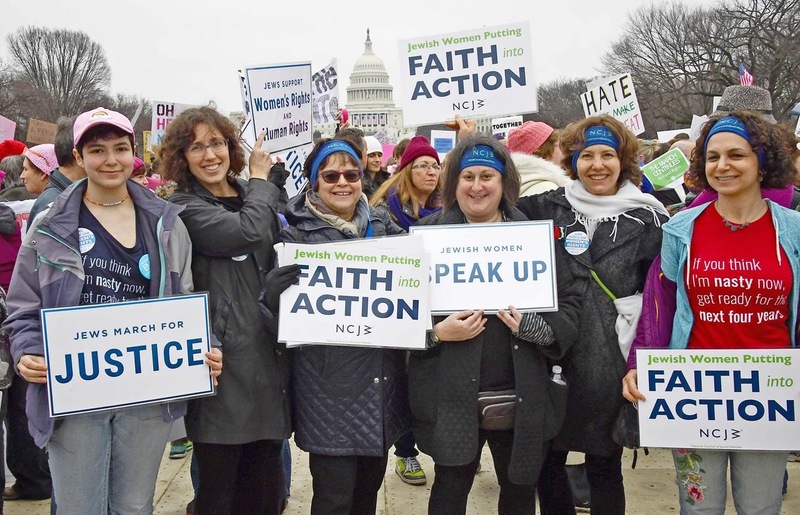 Inspired by Jewish values, NCJW strives for social justice by improving the quality of life for women, children, and families and by safeguarding individual rights and freedoms. Stay connected with NCJW at www.ncjw.org, @NCJW or Facebook.com/NCJWInc. What is something the National Council of Jewish Women currently working on? Can you tell our readers a little about the goals of the campaign? striving for universal access to health care that is comprehensive, confidential, culturally competent, nondiscriminatory, high-quality and affordable for all. In addition to the policy goals, NCJW’s reproductive health, rights, and justice work focuses on partnering with those most impacted as well as developing Jewish leaders and organizers who bring their faith into action. Tips and lessons: Do you have an “Advocacy Tip” to share or “Lesson Learned” while organizing this or other campaigns? Do you have any general words of wisdom that you’d like to share with other staff working on campaigns? A best practice for NCJW in our work in DC and around the country is building relationships across lines of differences and with those most impacted by the issue, and looking to them for leadership. In addition, as a national organization, we rely on our field for guidance and leadership as they are on the front lines of the issues and as such, are the experts on what’s happening in their communities. They know what messages resonate and how best to approach a challenge to advance social change. Many of our member organizations work with both our Bolder Advocacy initiative on c3/c4 advocacy rules and guidance, and our Justice programs on the importance of the courts and judicial nominations. How has either or both most helped you/ How have you worked with either or both? Alliance for Justice has been an incredible resource for our courts work by providing the research on federal judicial nominees as well as accompanying messaging guidance. Additionally, we look to AFJ to help us navigate the complexities and nuances of 501c3 permissible activities. The organization is a tremendous source of support to our staff and field, and a valued partner. Every human being, regardless of race, religion, ethnicity, gender, sexual orientation or physical or mental disability is deserving of full inclusion and every opportunity. Education is a critical component in raising awareness in order to create meaningful social change. Through tzedakah (philanthropy), advocacy, and community service, NCJW works to realize its vision of a just society in which everyone will have full and equal access to the quality of life to which all are entitled.